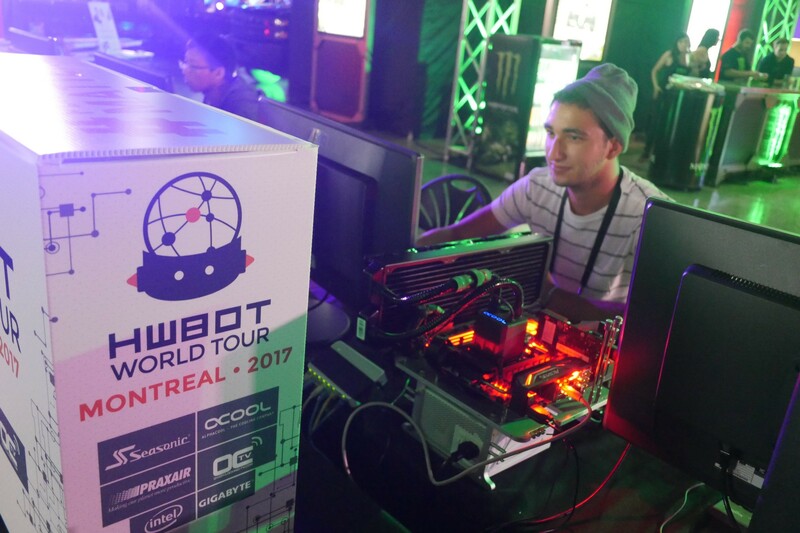 Just a few days ago the HWBOT World Tour was in town at Montreal for DreamHack 2017. 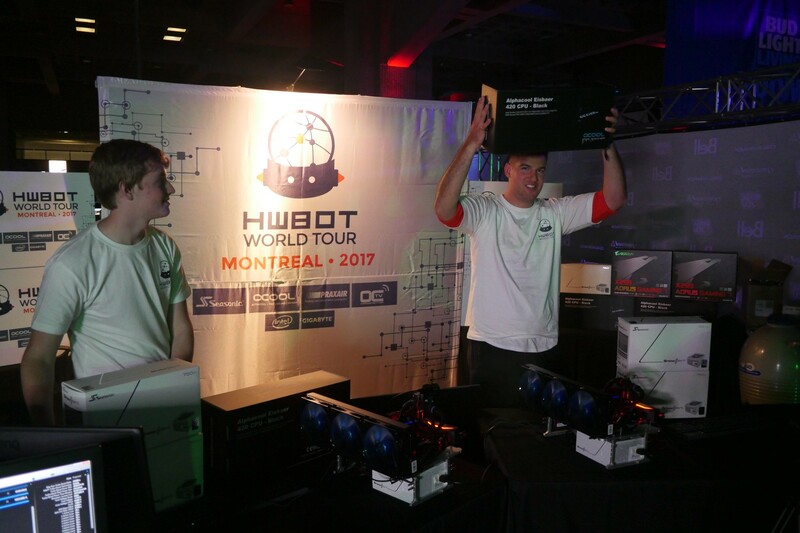 The mission as ever was to spread the word of Overclocking to gamers and enthusiasts at the show, the highlight of which was the HWBOT World Tour Montreal 2017 Ambient contest. 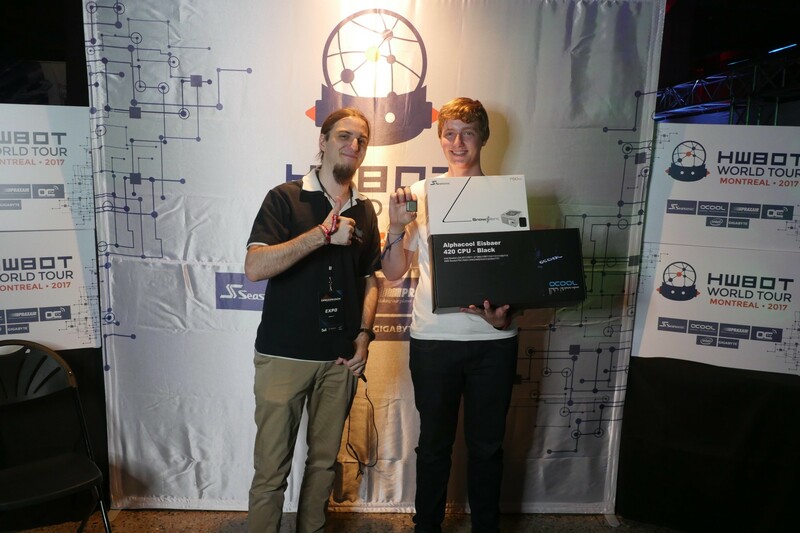 Today we bring you news that the contest was eventually won by Rookie overclocker Sidney6442. Congrats to you sir. Let’s have a quick look at the action in a little detail. 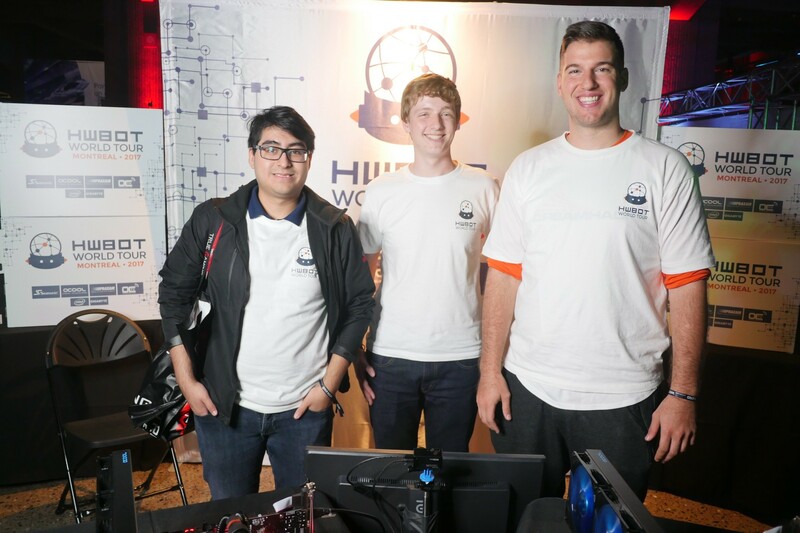 One of the key elements of all HWBOT World Tour events is to try and give newcomers a chance to learn the basic skills of overclocking and get hands on for the first time. 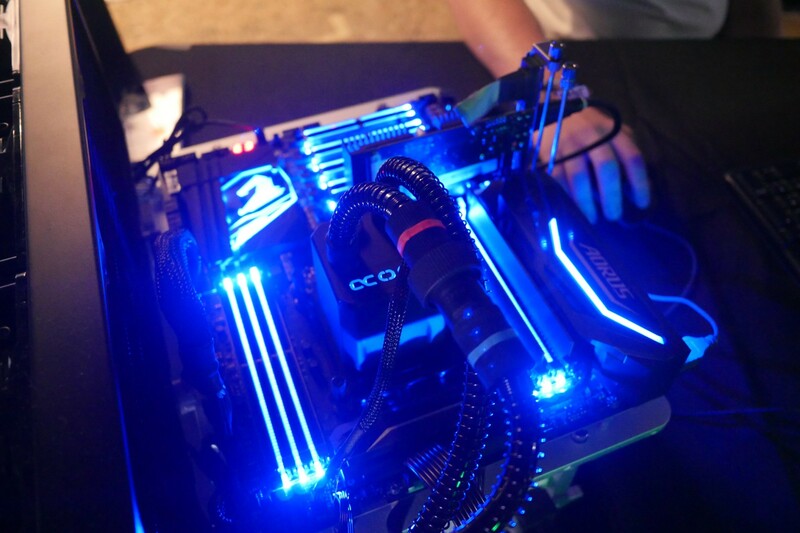 We set up ambient cooled systems and with help of local veteran overclockers, conducting workshops to show attendees what it’s all about. After attending a workshop, it’s time to start making some scores. 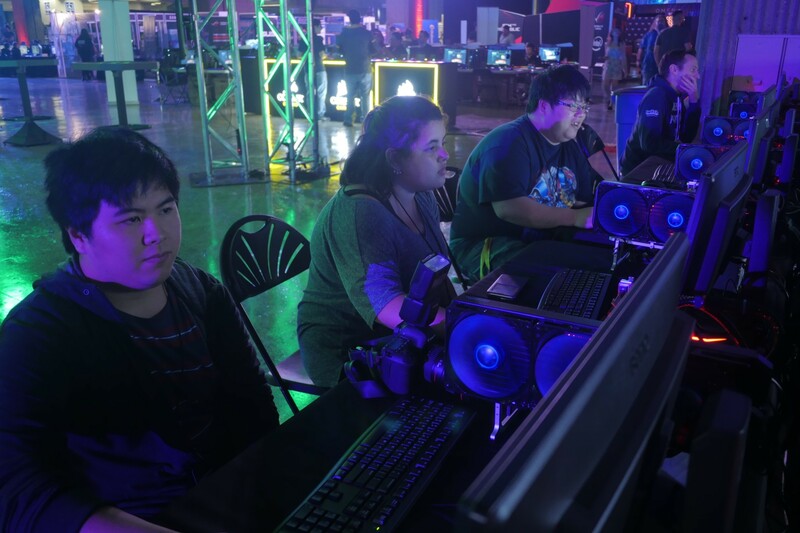 Around eighty DreamHack attendees managed to complete the workshop session and progress to submitting a score to the OC-ESPORTS platform. 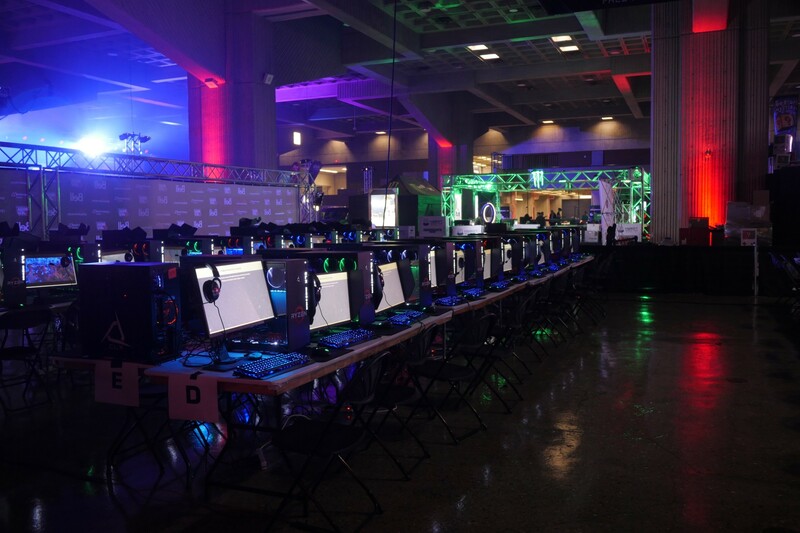 You can find the table at the end of the workshops below. 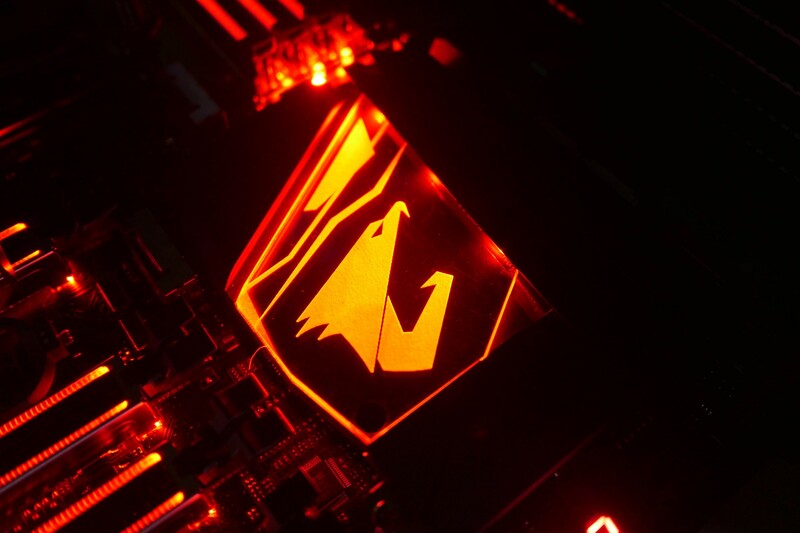 Plus you can check out the contest page for yourself here on OC-ESPORTS. The idea is that the top eight scorers are invited back to compete on the last day. 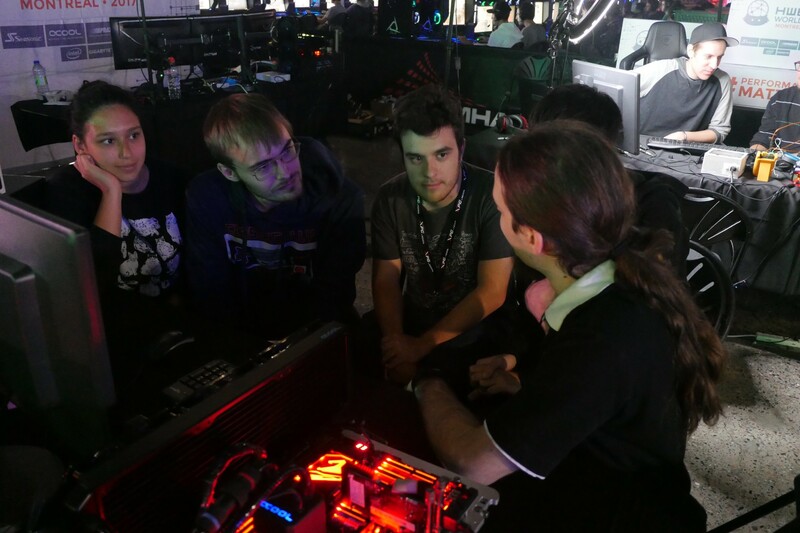 As you can see from the table above, the winner at the end of the workshop sessions (which also act as a qualification phase), we find Kafumbla at the top of the table with an Intel XTU benchmark score of 3,542 marks. 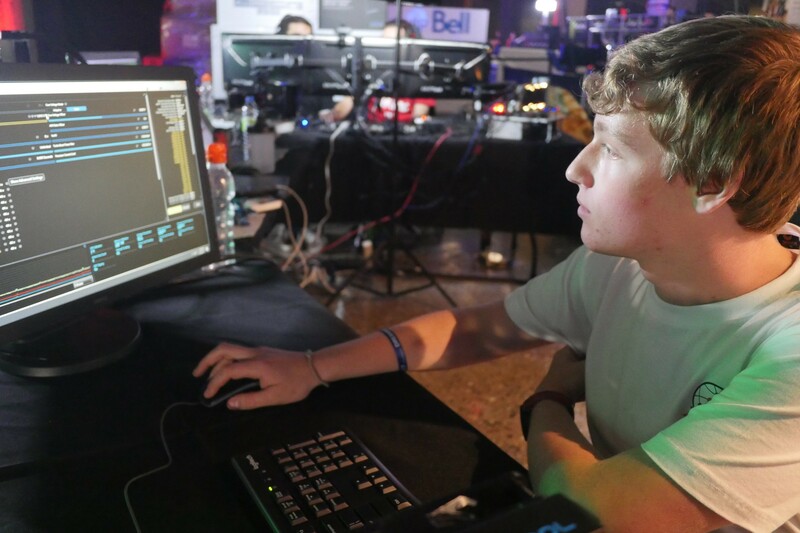 Just behind him we have Sirusdark with 3,476 marks while jarsus and Sidney6442 complete the top four. 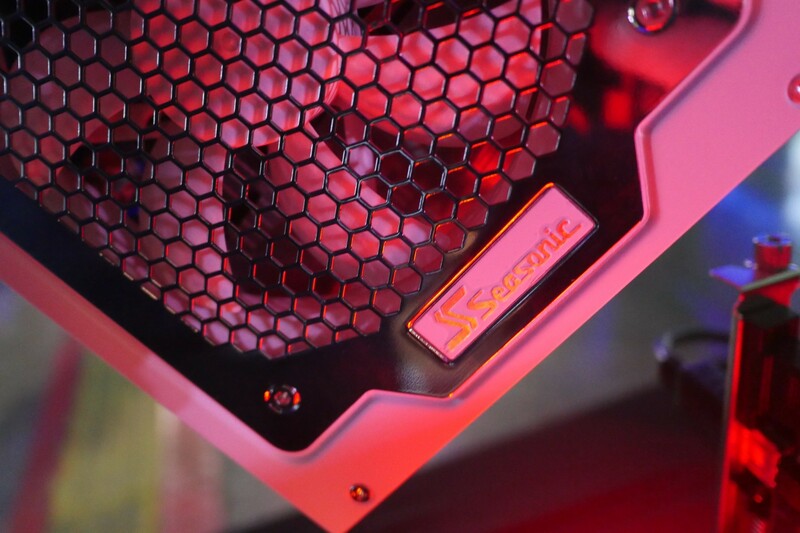 In terms of hardware, the systems used were provided with the help of our sponsors. 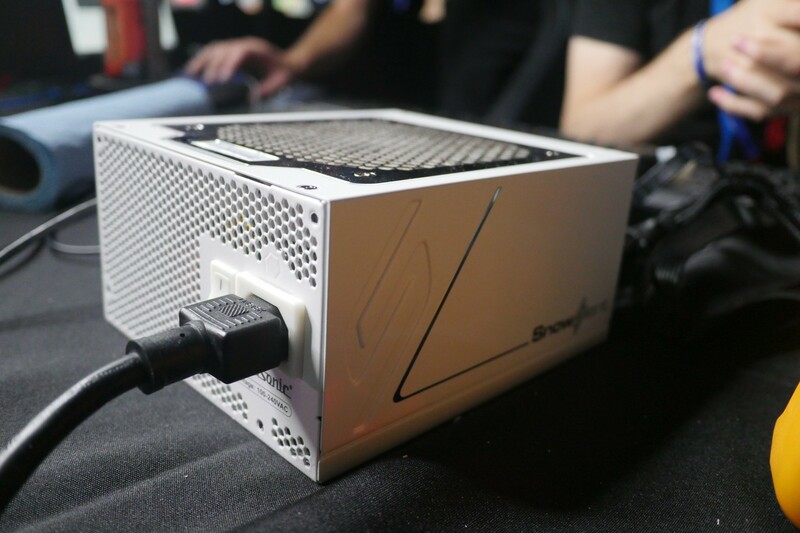 These include World Tour Sponsor Seasonic who contributed Snow Silent 750W Power Supplies, Alphacool who provided Eisbaer 420 AiO CPU Coolers, GIGABYTE who provided X299 platform motherboards and Intel who contributed the latest Core i9 7920X processors. 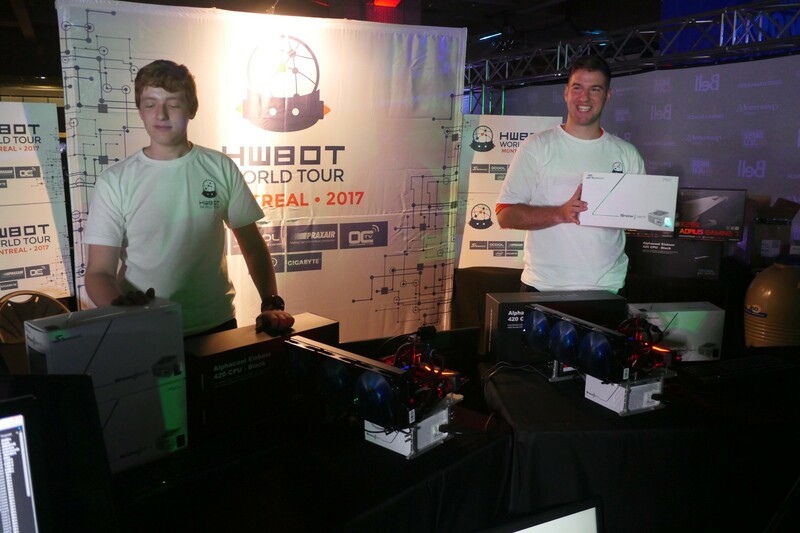 The contest format for each Quarter-Final, Semi-Final and Final match, followed the same 1v1 format as used in previous HWBOT World Tour 2017 ambient contests. 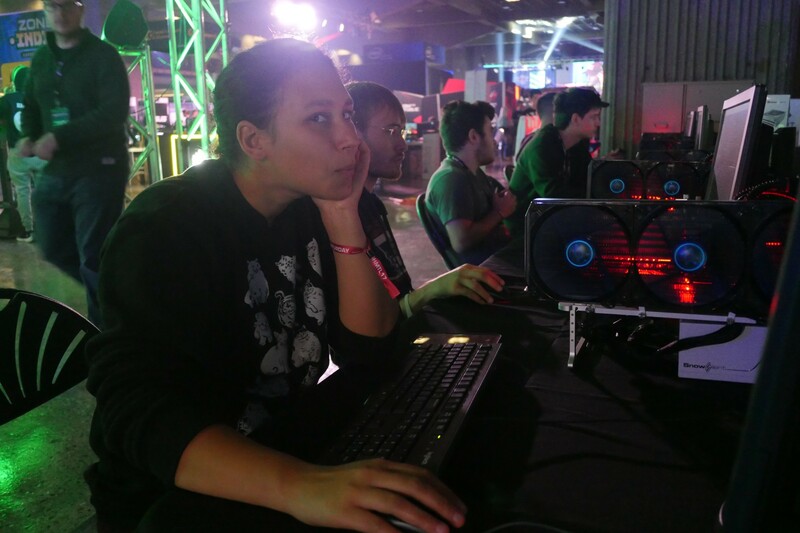 Contestants were given two fifteen minute sessions, starting from default settings. 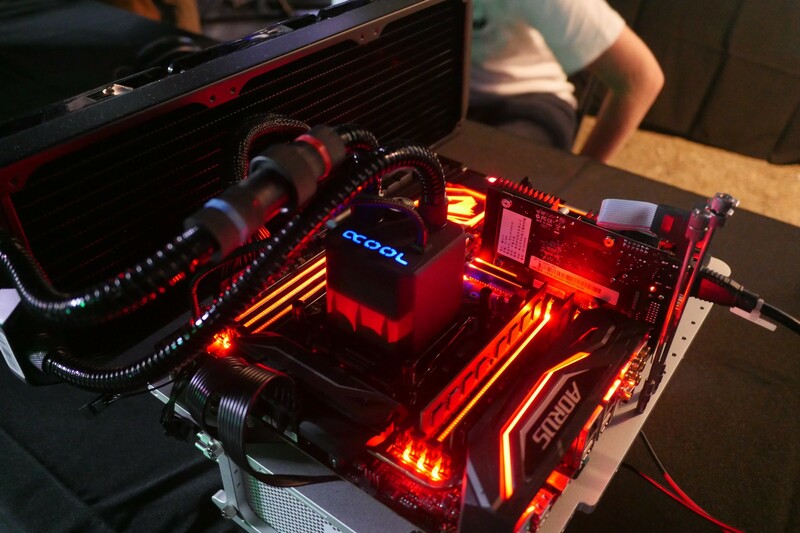 After the first fifteen minutes, the contest stops briefly while the overclockers switched seats. Systems are again reset, and then the second fifteen minute session begins. 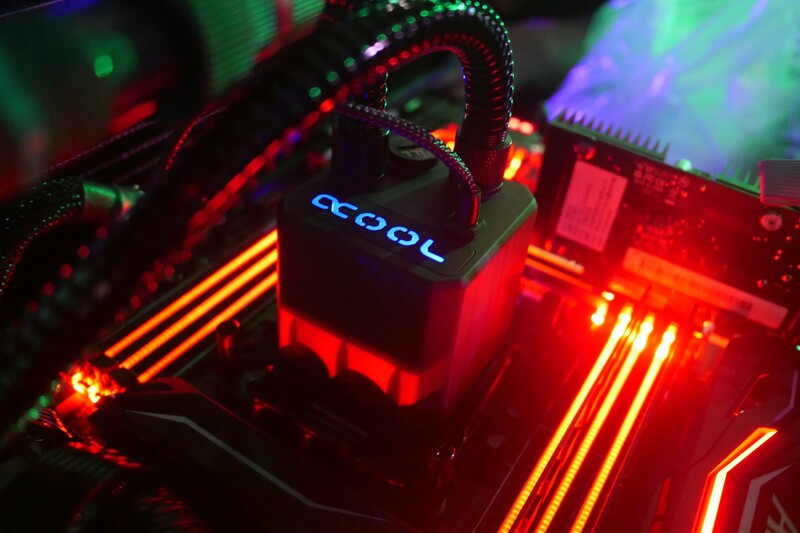 Systems are switched in order to make sure that no advantages are gained by the CPU lottery (remember, not CPUs are equal). 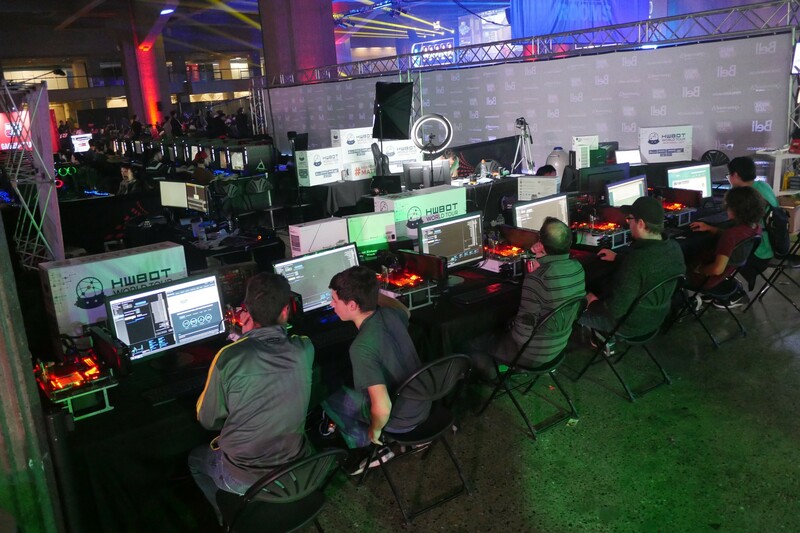 Here are the brackets for the final day, showing you which match pairings were made and the final scores achieved. 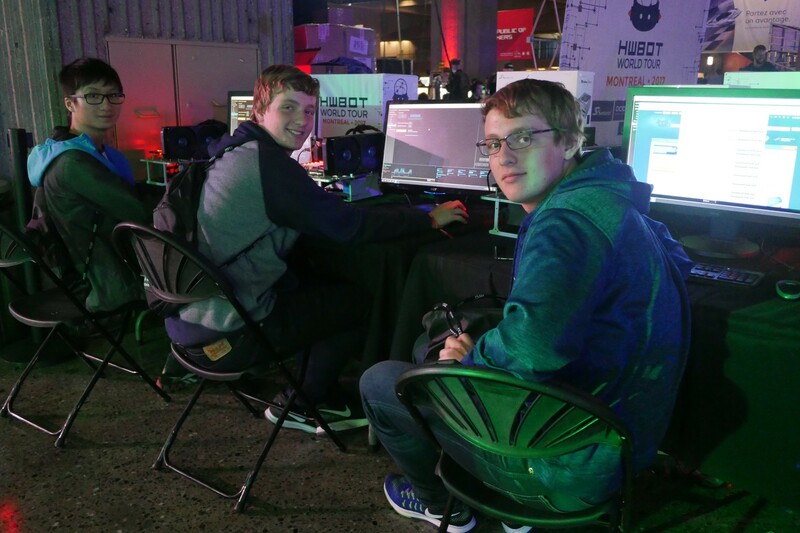 As you can see above, the contest was eventually won by Sidney6442, who interestingly had to beat his twin brother in the Quater-Final stage to progress to the Final. 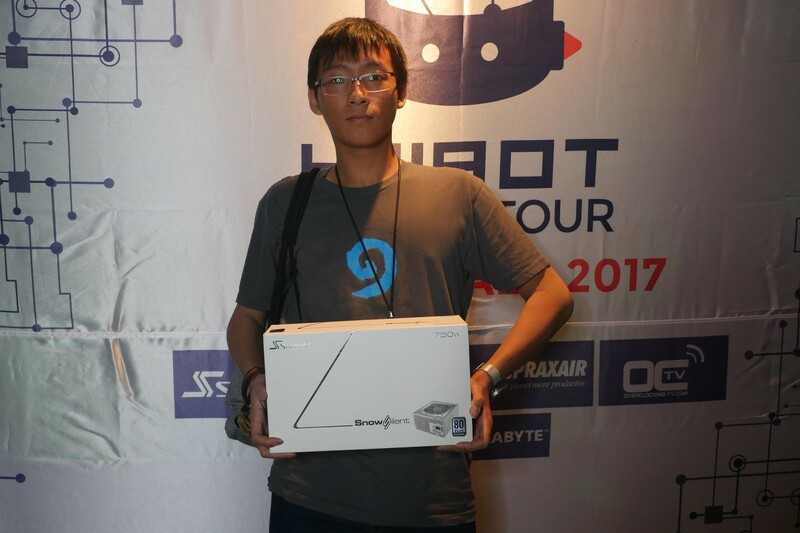 In the Semi-Final he overcame Dali1234, while in the Final he edged past Qualification stage winner Kafumbla. 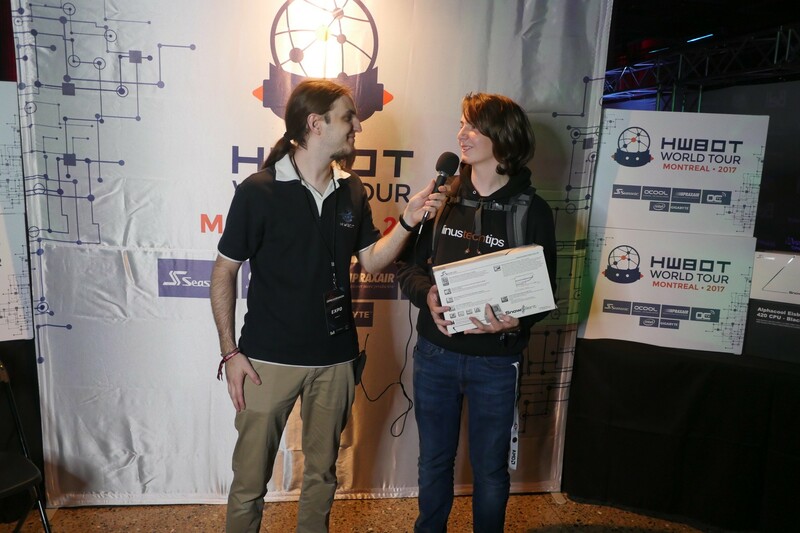 This he achieved with a pretty small margin, making one of the highest scores of the event with a combined Intel XTU score of 7,113 marks, just ahead of his opponent with 7,083 marks. 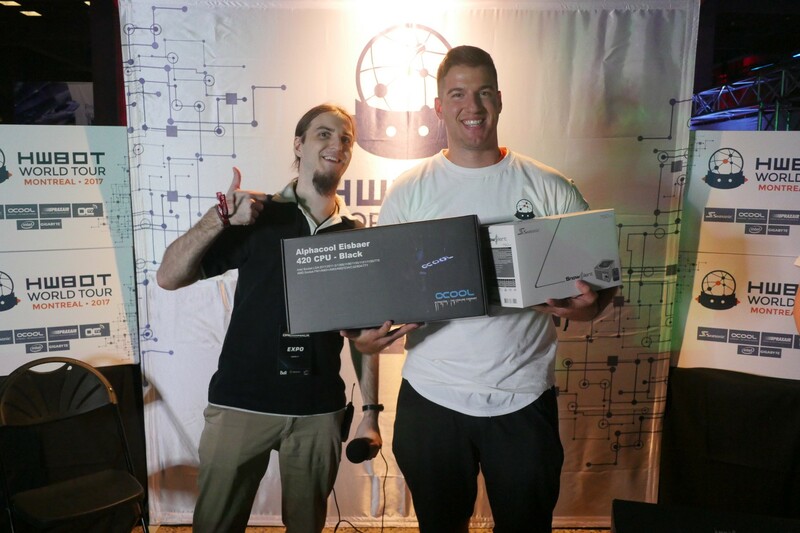 Here’s a great shot of our eventual winner who walks away with some great prizes from our sponsors, including a newly arrived 12-core Intel Core i9 7920X processor. Congrats! 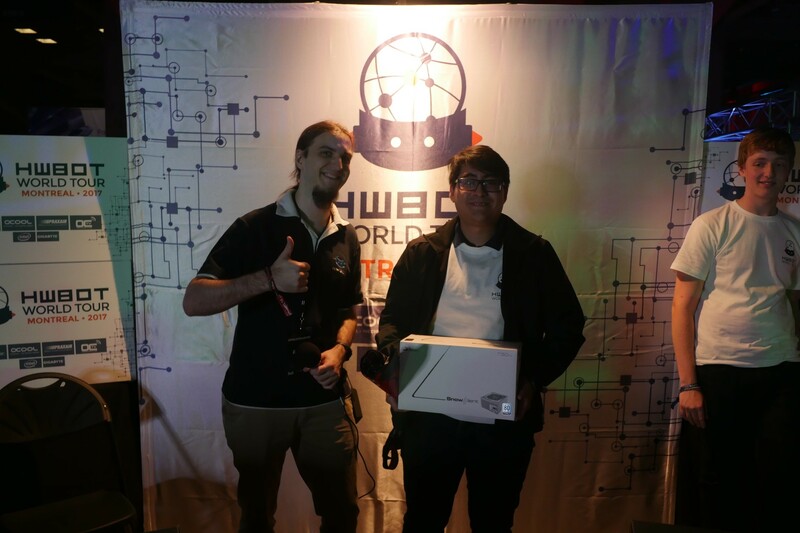 You can find live coverage of the entire HWBOT World Tour Ambient contest here on the OverClockingTV Twitch channel.